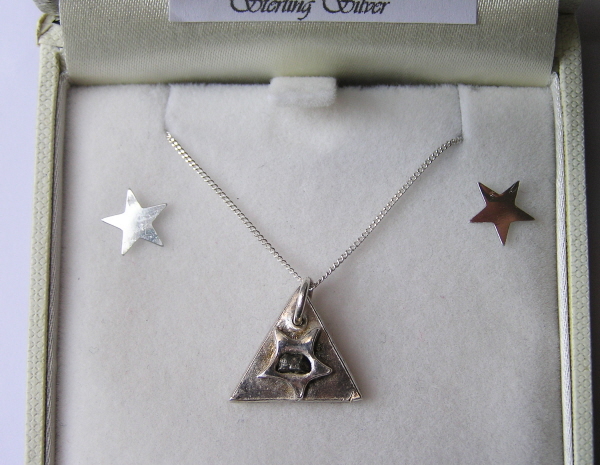 This unusual little meteorite necklace is made with a solid silver triangle set with a little star shape and at the centre of the star - a tiny but genuine fragment of genuine iron Campo Del Cielo meteorite. No-one knows exactly where any iron meteorites originate but isn't it magical to think that they are the exploded core of an unknown planet many millions of miles away?! 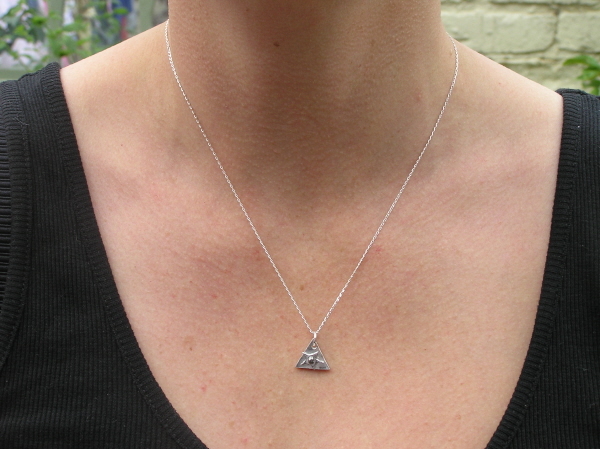 The triangle measures 1.5cm from top to bottom.